MOMENT’S NOTICE is the faculty jazz group from Umpqua Community College featuring trumpeter John Gronberg, guitarist Ross Hanson, bassist Jason Heald, and percussionist Clint Newell. The ensemble’s repertoire covers a wide range of jazz styles from hot swing of the 30’s and 40’s to cool Latin jazz and contemporary jazz/rock fusion. 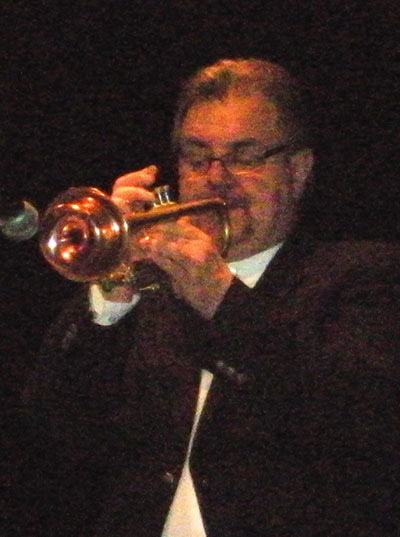 John Gronberg is the trumpet instructor and directs the Big Horn Jazz Band at Umpqua Community College. Gronberg holds a Master of Arts degree in music from Washington State University. He has played in orchestras in Nevada with headliners such as Tony Bennett and Sammy Davis Jr., as well as many years touring with Broadway Musicals in North America, South America, and Europe. Ross Hansen is the guitar instructor at Umpqua Community College. 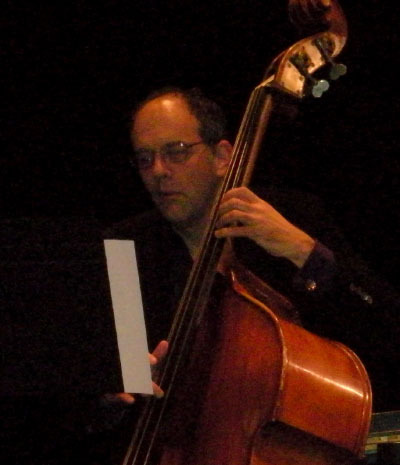 He holds a Master of Music degree in jazz studies from the University of North Texas, as well as Master of Arts in teaching from the University of Portland. He has performed as a professional musician in Dallas, Texas and in Portland, Oregon. He has performed with such diverse artists as Bob Hope, LeAnn Rhimes, Don Rickles The Bill Tillman Band, and Soul Vaccination. Jason Heald is currently the Director of Music Studies at Umpqua Community College and holds a Ph.D. in composition from University of Oregon. He is currently conducts the Umpqua Chamber Orchestra, Roseburg Concert Chorale, Umpqua Chamber Choir, and the vocal jazz ensemble, the Umpqua Singers. Dr. Heald also serves as choir director at the First Presbyterian Church in Roseburg, Oregon. In addition to being an active conductor and clinician, Heald is a prolific composer, with works published by ChoralWeb, UNC Jazz Press, Plymouth Music, and Call of the Wild Publishing. 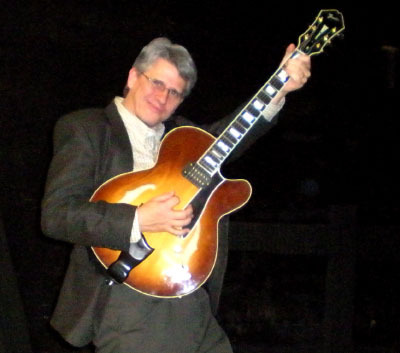 Clint Newell has performed professionally for over 3 decades. A resident of Roseburg for 27 years, he has appeared in numerous festivals and performed with many rock and jazz recording acts.